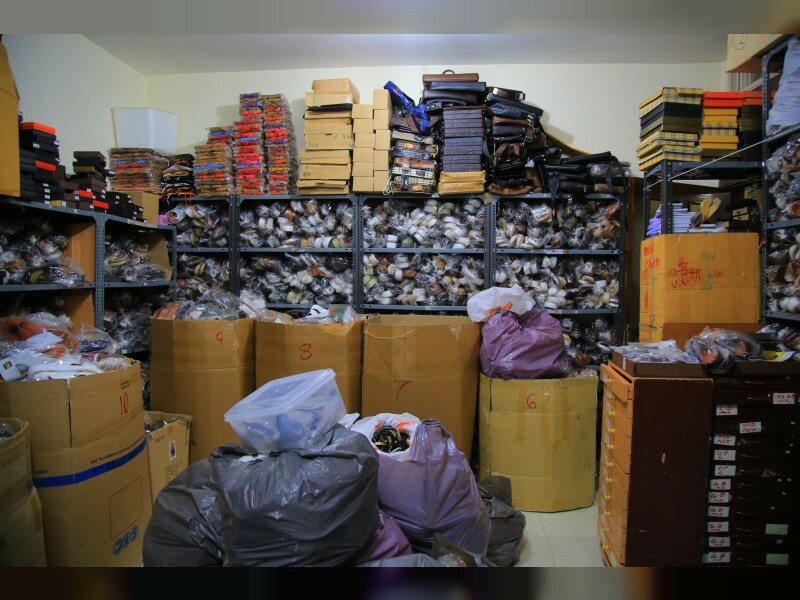 ABU DHABI, 17th July, 2017 (WAM) -- The Department of Economic Development, DED, in Abu Dhabi has seized and confiscated 6,230 fake and counterfeit shoes, bags and leather goods during a series of investigative procedures. Department inspectors were able to locate an apartment that had been transformed into a store for counterfeit goods. Mohammed Munif Al Mansouri, Acting CEO of the Abu Dhabi Business Centre, said that confiscations like this were the result of a periodic inspection campaign carried out by inspectors at the DED's Commercial Protection Administration, in addition to coming as a result of consumer complaints received by the Governmental Communication Centre of the Emirate of Abu Dhabi. Al Mansouri explained that the confiscations included large quantities of shoes and bags that had been labeled as major brands, a violation of the intellectual property rights of these brands. He explained that the department, based on the results of the campaign, has issued fines against the facilities that had seriously violated the law and regulations regarding commercial activity in the emirate. The fines were issued pursuant to the Abu Dhabi Executive Council Decision No. 47 of 2017 pertaining to the schedule of economic activity violations included in the Department's Establishment Law No. 02 of 2009. Mr. Al Mansouri said that fines were issued for activities carried out without obtaining a license or the required permissions. Fines were also issued against those owning, marketing, producing, or purchasing fake or counterfeit goods, materials or products from an unlicensed street vendor, a market, or from outside the country for the purpose of marketing the same inside the UAE, and the selling, displaying, or owning of consumables or non-consumables or services that do not conform with the local standards and specifications, which could thus harm public or consumer health, he concluded.